Soon the loyal Windows users can enjoy the Official Release of Windows 10. At the Windows Hardware Engineering community in Shenzhen, China on Wednesday, March 18, 2015, Terry Myerson, Head division OSG (Operating System Group) Microsoft stated that Windows 10 will be launched in official in summer 2015. Following the summer schedule, then it will fall launch in June or July 2015. Windows 10 will be available for 190 countries and in 111 languages. 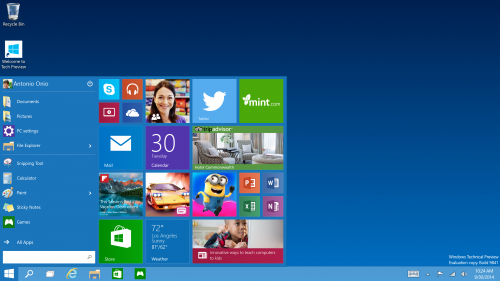 In the event, Microsoft stated that the users of Windows 7, 8 and 8.1 will get (to upgrade) Windows 10 for free. The promo is valid only within one year after the official release of Windows 10 later. If after the expiration of one year, users can not upgrade to Windows 10 for free.